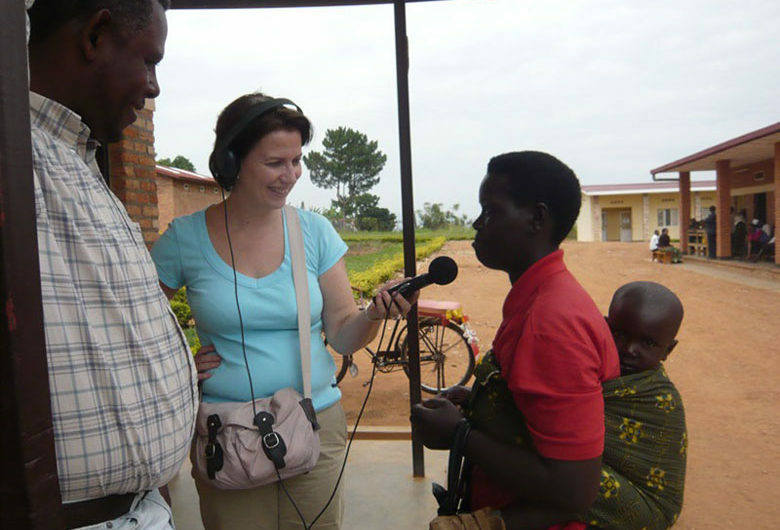 Claire Hedon is a journalist in France who first became an ally of ATD Fourth World in 1993. This article is based on an interview of her conducted in 2016. 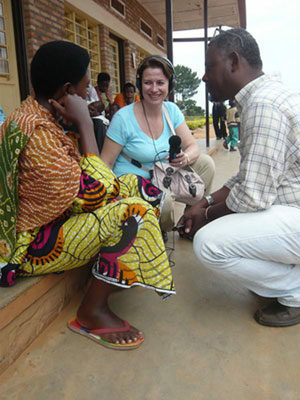 In building her career at Radio France International (RFI), Hédon found a way to make an important contribution to the four million listeners who tuned in to her daily program, “Health Priority,” which she hosted between 2003 and 2017 (last year she became deputy director of features at RFI). Some 90 percent of her listeners lived in Africa. In parallel with her professional work, in 1993 Hédon got involved with ATD Fourth World. Hédon’s involvement as an “ally” of people living in poverty led to her becoming president of ATD–France in 2015. She also made a regular financial pledge to support the ATD Volunteer Corps, whose full-time members all receive the same minimal wage regardless of their seniority or responsibilities. This structure without a wage hierarchy reflects ATD’s ethos of opposing inequality and its determination to maximize funding for direct action. This action includes cultural projects, such as Street Libraries and Story Gardens, as well as participatory research and advocacy intended to challenge stereotypes and improve public policies. When Hédon is the one being interviewed, the word “ethics” comes up often. She pays close attention to the ethics of the pharmaceutical industry. For her broadcasts, to protect the privacy of people who are ill, she advises her team to simply let them speak, asking as few questions as possible. In her work, both as a professional and as an ATD Fourth World ally, Hédon is doing her best to make a meaningful, ethical contribution to that progress.